As promised in last week's article I would supply you with some weather data from around the county. The following totals are May - August 10th. When you think that this amount of moisture has been received in a little over 3 months and 10 days, and not the entire year; those are amazing totals. The one area of the county that is missing is Haswell. The National Weather Service in Pueblo is in need of a volunteer to report the weather for that area. If anyone is interested, please call Dawna at the FSA Office and she will relay your name to the office in Pueblo. The Kiowa County Extension office also has CoCoRaHS rain gauges for sale. The cost is $34.00 and Karen at the Extension Office can give you all the details. What is important to remember about being a rainfall reporter is that it must be something that is done and recorded daily. The reporter must be dependable and be able to log in to the reporting site or make a phone call to the office daily. Visit the Community Collaborative Rain, Hail & Snow Network website @ https://www.cocorahs.org/ViewData/ListDailyPrecipReports.aspx for more information. The FSA Office relies on numerous weather reporting data for a number of program areas. For example, for a county to be designated for Emergency Grazing of CRP, counties must have reliable weather data. We all know it may be dry, but the National Office in Washington needs hard data to back it up. I for one, am so grateful for the moisture the area has received this summer. I encourage everyone to take a 'Sunday drive' and look at some of the amazing crops in the area. The sunflowers, corn, milo and feed crops are outstanding. U.S. Agriculture Secretary Sonny Perdue today signed a Memorandum of Understanding with officials from SCORE, the nation's largest volunteer network of expert business mentors, to support new and beginning farmers. Today's agreement provides new help resources for beginning ranchers, veterans, women, socially disadvantaged Americans and others, providing new tools to help them both grow and thrive in agri-business. "Shepherding one generation to the next is our responsibility. We want to help new farmers, veterans, and people transitioning from other industries to agriculture," said Secretary Perdue. "They need land, equipment, and access to capital, but they also need advice and guidance. That's what SCORE is all about." SCORE matches business professionals and entrepreneurs with new business owners to mentor them through the process of starting-up and maintaining a new business. USDA and its partners across rural America are working with SCORE to support new farming and ranching operations, and identify and recruit mentors with a wealth of agricultural experience. Secretary Perdue announced the new partnership in Des Moines during the Iowa Agriculture Summit. Perdue was joined by Steve Records, Vice-President of Field Operations for SCORE in signing a Memorandum of Understanding that will guide USDA and SCORE as they partner in the mentorship effort, which will soon expand to other states. 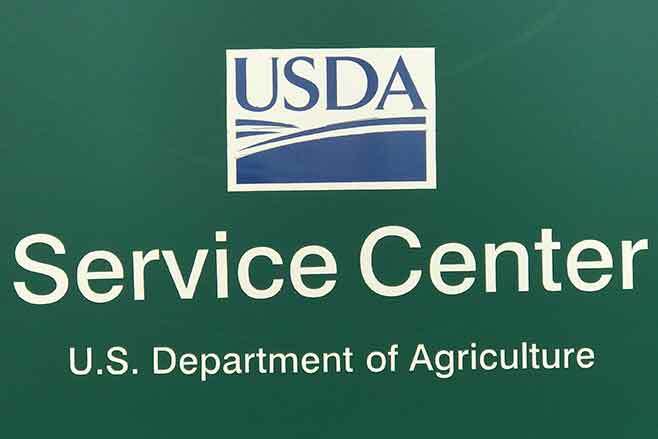 "SCORE's mission to help people start and grow vibrant small businesses is boosted by this new partnership with USDA. America's farmers, ranchers and agri-businesses will benefit from the business knowledge and expertise SCORE can offer," said Records. "The partnership allows both SCORE and USDA to serve more people while providing America's farmers added support to lead to more sound business operations, create profitable farms with sustainable growth and create new jobs. We are excited at the opportunity to extend SCORE's impact to our farmers and the agriculture industry." SCORE mentors will partner with USDA and a wide array of groups already hard at work serving new and beginning farmers and ranchers, such as the Future Farmers of America, 4-H, cooperative extension and land grant universities, nonprofits, legal aid groups, banks, technical and farm advisors. These partnerships will expand and integrate outreach and technical assistance between current and retired farmers and agri-business experts and new farmers. This joint initiative leverages SCORE's 10,000 existing volunteer mentors and USDA's expertise and presence in agricultural communities to bring no-cost business mentoring to rural and agricultural entrepreneurs. This initiative will also be another tool to empower the work of many community-based organizations, cooperative extension and land grant universities, working with beginning farmers in their communities. SCORE mentorship will also be available to current farmers and ranchers. Anyone interested in being a mentor can get more information and sign up on the USDA New Farmers' website at https://newfarmers.usda.gov/mentorship.